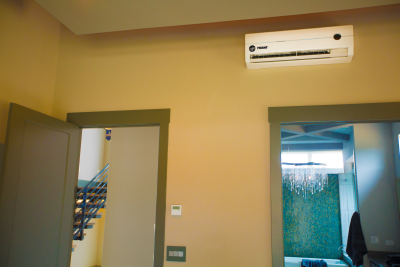 Ductless systems connect an outdoor unit with an indoor unit to heat or cool one specific zone of a home without the use of ductwork. 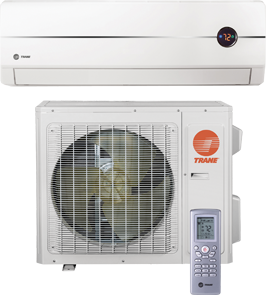 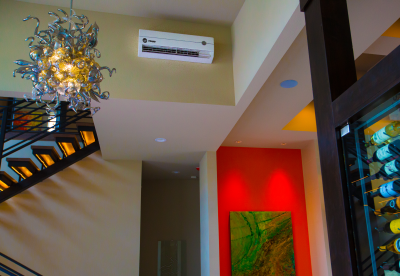 The mini-split ductless system controls one room or zone by connecting one outdoor unit to one indoor unit. 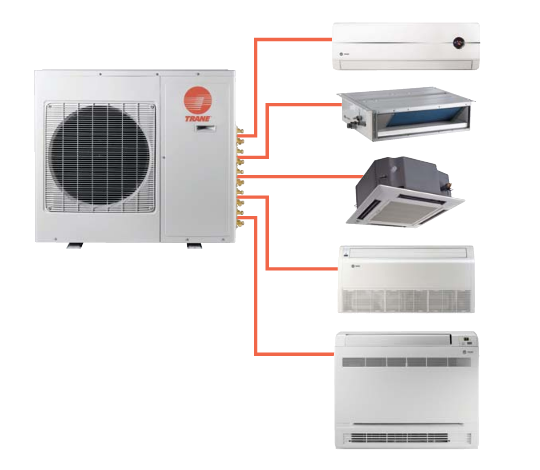 A multi-split ductless system can connect one outdoor unit to up to five indoor units—depending on the indoor and outdoor model—letting you control the heating and cooling in several zones or rooms independently of each other.